Hmmm… What’s that delicious smell? Could it be… garlic breath? Scientists know that some components of garlic, like ajoene, have bacteria-fighting potential. But turns out it’s a little tricky to obtain. Ajoene makes up about zero point five PERCENT of garlic, so forget crushing garlic bulbs! The chemist’s solution is to create a synthetic version from something similar. But so far, this has yielded too little ajoene to be worth the intense effort. Fortunately, Thomas Wirth and his team from Cardiff University have discovered a better route. 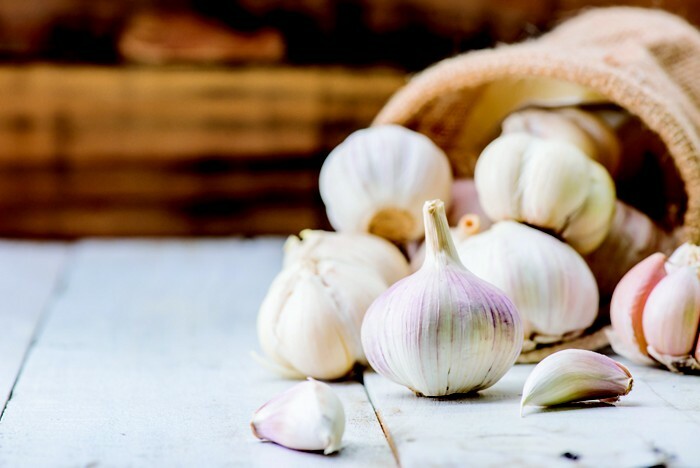 They started with allicin, a related, and much more readily available garlic compound. Their new pathway produces twice as much ajoene as previous studies. More importantly, this roadmap allows for a library of ajoene spin-offs to be created. Wirth and Neem Biotech plan to use their library of garlic-inspired molecules to develop the ultimate bacteria fighting compound. So, garlic may be our stinky savior! Vampire maintenance included.